Tokayev was formally sworn in earlier in the day. He will perform the duties of the president until the 2020 election. "I am planning to direct my knowledge and experience to the preservation of the strategic policies [of the former leader]", he said after the swearing-in ceremony. Russian President Vladimir Putin sent a telegram to the interim Kazakh president. "Russia knows you as an experienced government official, who makes an important personal contribution to strategic partnership and alliance between our states, as well as to mutually-beneficial integration in Eurasia", the Russian president said. Tokayev also noted that the country's capital Astana should be renamed after ex-President Nazarbayev. "I believe it is necessary to memorialise the name of our great contemporary, the first president of Kazakhstan, Nursultan Nazarbayev. Our capital should be renamed after him and be called Nursultan", the head of state said. Tokayev also said that Nazarbayev should be granted the status of honorary senator. "As the former chairman of the Kazakh Parliament's Senate [upper chamber], I consider it necessary to grant Elbasy [leader of the nation, Nazarbayev] the status of honorary senator", Tokayev said. Tokayev conferred upon Nazarbayev the titles of Hero of Kazakhstan and the Hero of Labour of Kazakhstan. In the meantime, Dariga Nazarbayeva, daughter of the ex-president, has been elected the speaker of Kazakhstan's upper house of Parliament. "I understand well the role of the parliament in the country's life, the head of the state has always supported the initiatives for modernising the country and supporting socially vulnerable groups… I express my gratitude for your trust, and I assure you that I will invest all my knowledge and skills into the development of our country", Nazarbayeva said during a plenary session at the Senate. Nazarbayev, 78, held a number of senior posts in the Kazakh Soviet Socialist Republic, which was a part of the Soviet Union. After the dissolution of the Soviet Union, Nazarbayev remained in power, becoming president of the independent Republic of Kazakhstan. 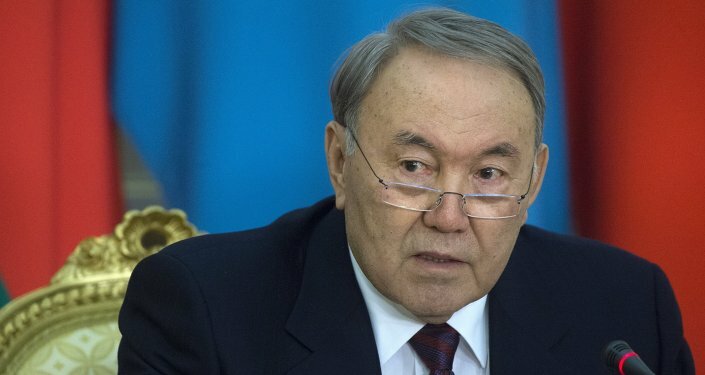 Despite his resignation as president after almost 29 years in office, Nazarbayev remains head of the country's Security Council and leader of the ruling party Nur Otan.